Clean My Pavers is Pennsylvania's leading paver restoration company. Since we started operations decades ago, we have restored countless paver amenities in West Chester, Malvern Villanova, Glen Mills, and other key cities in the state. Our clients from these areas are all happy and satisfied with the results of our restoration works. We are able to bring new life to their old and damaged paver surfaces by using the latest tools and proven restoration methods. Please call us today at (610) 459-3466 and allow us to improve the aesthetics and functionality of your paver features and amenities. Our services are offered at budget-friendly rates so you won't have to worry about not getting the services of paver restoration experts. At Clean My Pavers, we have the required knowledge and skills to perform all types of paver restoration jobs. Each member of our team is well trained and certified by industry organizations, making us more than qualified to handle the various stages of hardscape restoration. Paver cleaning. All paver surfaces must be cleaned on a regular basis to maintain their elegance. And if you need professionals with lengthy experience in paver cleaning jobs, we are the right company to hire. We have the right cleaning tools and equipment, so you are assured of thoroughly cleaned paver features. Our certified crews will ensure that the paved areas will be cleaned according to industry standards. They will also use efficient cleaning methods and techniques to bring back the pavers' beauty and charm. After the paver cleaning job, the paver surface will be free from stains, grime, molds, weeds, efflorescence and other types of stains. Joint re-sanding. Our crews will only use the correct type of sand for joint re-sanding. During the paver restoration work, we will remove old joint sand as well as other contaminants, such as dirt, weed, and moss. If polymeric sand was used for the joints, we will replace it with a new one to ensure color and texture uniformity. Paver sealing. 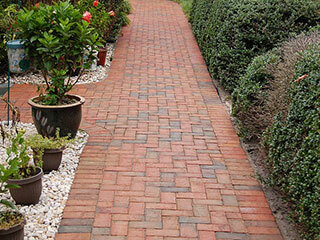 We always recommend paver sealing after a cleaning or repair job. 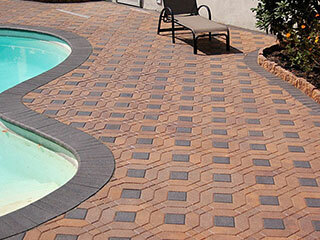 Sealing will not only enhance the beauty of your pavers but also provide additional protection. With our use of premium sealing products, we can bring back the original look of your pavers and protect them from harsh environmental elements, such as UV rays, stains, and grime. Paver repair. Pavers are inherently sturdy, but they still require repair works due to wear and tear and installation issues. The common paver repair jobs that we have handled in West Chester and other areas we serve include settled pavers, damaged edge restraint, and broken paver units. Call the experts in paver restoration - Clean My Pavers. Contact us at (610) 459-3466 or drop by at our office so we can discuss further the details of your project.